Three Clear PVC zippered pockets. 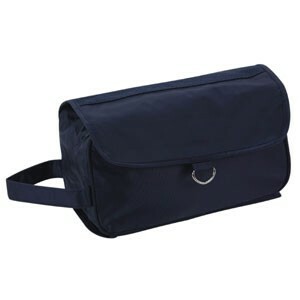 This deluxe toiletry bag is perfect for the traveling person. The compact design allows you to store this it neatly in your suitcase or duffel. Three separate clear pockets give you the ability to organize items with ease. 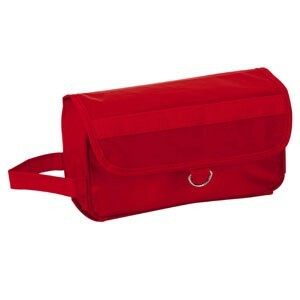 The clear PVC pockets are water resistant to keep one leaky bottle from getting all over your suitcase during travel. 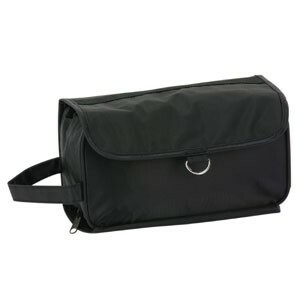 The large main compartment can hold many items and is zippered to keep everything in place. 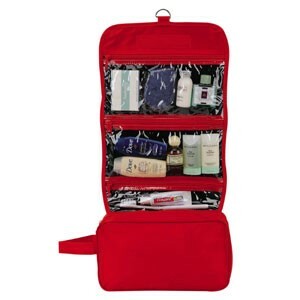 A ring on the top allows you to hang the toiletry bag while you are getting ready.